Our motto is, “A Beautiful Gown Starts with the Perfect Foundation.” Your bridal undergarments determine a great fit so that you look incredible in your wedding gown on your big day. Just like a house needs a strong solid foundation, so does your gown. Here at Beneath The Gown we ensure that you have the proper fit for your gown, body type and/or personal style. We customize and tailor not only your bridal undergarments to your exact need, we also create a customized experience. We believe that building relationships with our clients is key to our success and their comfort level. We are dedicated in offering impeccable service and making an appointment allows us to give you the proper time and attention while creating an unforgettable experience. We will provide service through your gown fitting process and can customize your pieces at any time. You can be sure that when you visit you will be whisked away into a spa like environment where you can relax and enjoy a cup of tea in a private intimate fitting room. Before you head to your first gown fitting you want to make sure that your bridal undergarments are all set. We recommend scheduling your undergarment fitting at least one month prior to your first gown fitting, to ensure that your undergarments are ready in case they need to be customized or adjusted. 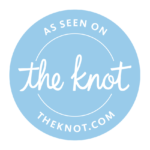 From your engagement, boudoir session, rehearsal dinner, getting ready, wedding day, honeymoon and beyond here at Beneath The Gown we love to tell brides that from your engagement and beyond you always need that solid foundation. Bridal undergarments don’t have to be just for your wedding day, you can bring in your engagement session outfits, rehearsal dinner dress, day after brunch outfit, special night out dresses for your honeymoon and we can ensure that everything fits you perfectly and comfortably with the right undergarments. As well as providing the perfect foundation for brides we also work with mother of the occasion and bridesmaids.